Sorry dudes! Had this under the wrong heading! Picked up the Merit Award in the Strips section of the Coffs Harbour Rotary Cartoon Awards! For this “The Fabulous Bush Pigs” strip…”Ghost Gums”! 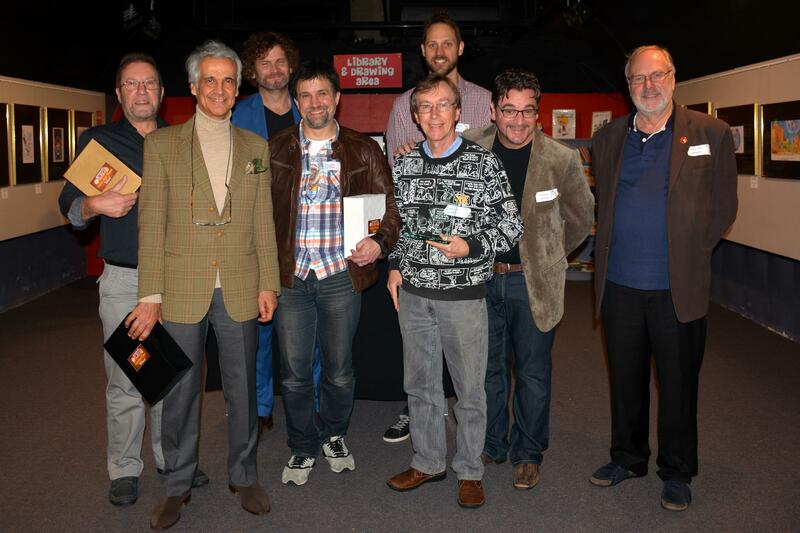 A great honour just to be in the same hanging as cartoon strip giants like Tony Lopez, Gary Clark and Ian Jones. Well done everyone. This entry was tagged cartoon strip, Coffs Harbour, ghost gums, merit, Rotary Cartoon Awards. Bookmark the permalink.